The biggest user-facing change is "speed reading," which is a bit of a misnomer - it's basically a forward/back function. 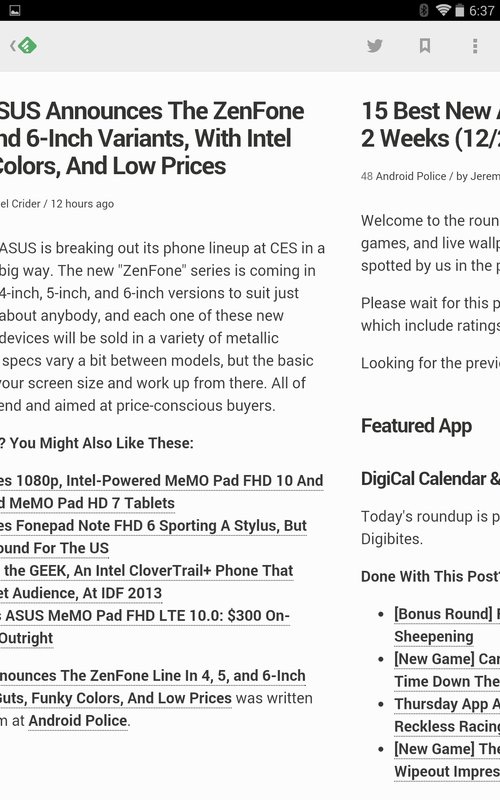 Tap on the left or right side of an article near the edge of the screen and you'll automatically move to the next or last item in the RSS feed. This achieves the same thing as a left or right swipe, but with a tap instead (most ebook readers use both). 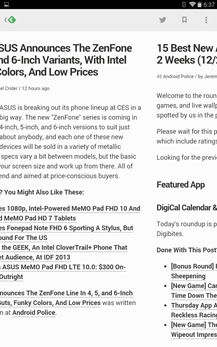 Unfortunately the feature is rather inconsistent at the moment: it only works if you tap the very edge of the screen, and won't register if you happen to tap text or an image, which is all too easy with Feedly's formatting. 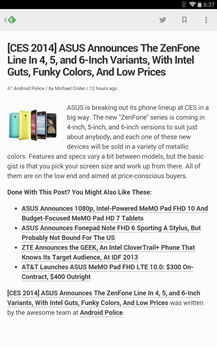 There's no way to disable speed reading in the beta. 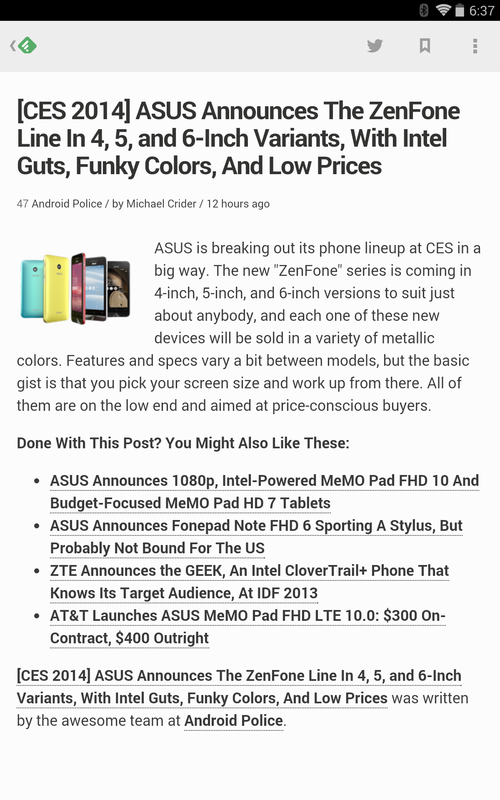 Perhaps even more important for regular users is the back button, which has been given some very specific attention. 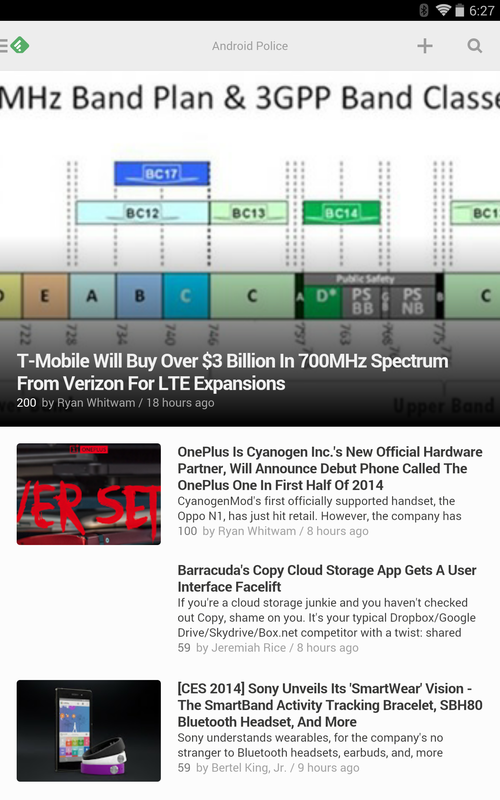 Now when you press Android's native back button in a story you'll go up to the feed view. Tap it again and you'll exit the app, just like most similar apps. Previously the back button behavior was erratic and sometimes didn't do anything at all. I'm pleased to report that this issue is working as advertised. 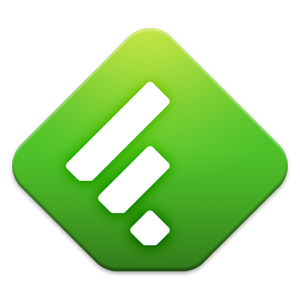 The Feedly blog post mentions other bug fixes, including login expiration and Android 4.1 rendering issues.